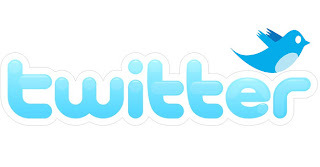 Twitter in a press release stated that hackers were able to get access to details of around 250,000 users.They stated in their official article that they have noticed 'unusual access patterns' that help them in identifying unauthorized access attempts to user data.They also discovered one live attack and were able to stop the process some moments later.Twitter stated that they have taken security measures by resetting passwords and revoking session tokens for those affected accounts.Twitter said that this attack was done by professionals.Below is the extract of the paragraph where they talk about the attackers,who they believe not amateurs. "This attack was not the work of amateurs, and we do not believe it was an isolated incident. The attackers were extremely sophisticated, and we believe other companies and organizations have also been recently similarly attacked. For that reason we felt that it was important to publicize this attack while we still gather information, and we are helping government and federal law enforcement in their effort to find and prosecute these attackers to make the Internet safer for all users."